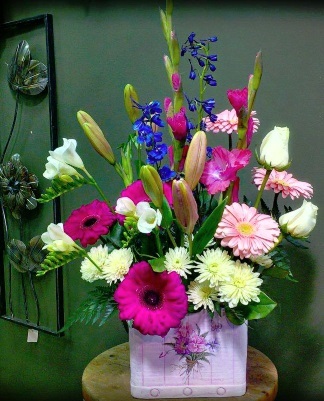 At Beau Villa Flowers And Gifts, we deliver the freshest flowers and brightest smiles! Established in 1995, Beau Villa Flowers And Gifts has been locally run and family-owned for over 20 years. We're Beaumont’s leading, full service florist proudly offering custom floral presentations for all occasions… birthdays, proms, weddings, anniversaries, holidays, bereavements and just because. Beaumont's only local connection to fresh, permanent and preserved flowers! Ask about our "Stay out of the Dog" House Program. Our friendly staff is ready to assist you with placing orders for local delivery or anywhere in the world. Not sure what to send? Let us offer some creative suggestions. We hope you enjoy your online shopping experience with secure 24-hour ordering right at your fingertips. If preferred, you may call us to place orders direct at 780-929-2424. We also offer Floral Preservation! Don't store your bridal bouquet... Display it in an elegant shadow box and create memories that you can also display. CLICK HERE TO VISIT ALWAYS N FOREVER FLORAL PRESERVATION WEBSITE! You can also ship your flowers to us and we will ship back...You will not be disappointed in our work! 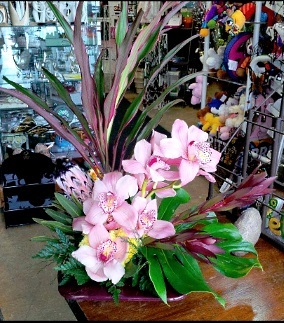 Beau Villa Flowers And Gifts has the perfect flower arrangements and gifts for any occasion! In addition to our lovely fresh flowers, we also have a wide selection of gifts, including collectibles, keepsakes, designer vases, silk floral designs, wreaths, garlands, swags, baby gifts, home decor, scented candles, stuffed plush animals and more. Browse our variety of green plants, blooming plants and dish gardens for a gift that adds life to any room or office space. Thank you for visiting our website with convenient and secure online ordering available anytime, day or night, from your local Beaumont, AB flower shop, Beau Villa Flowers And Gifts.